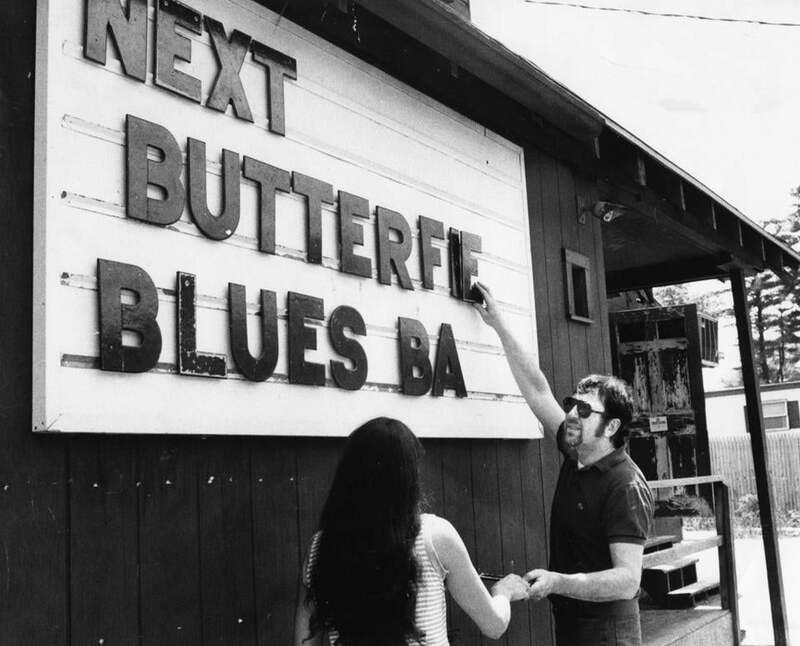 Lennie Sogoloff turned Lennie’s-on-the-Turnpike in Peabody into a destination for musicians. For a club that would become part of jazz history in Greater Boston, Lennie’s-on-the-Turnpike wasn’t much to look at when it opened in Peabody in the early 1950s on the stretch of Route 1 known as the Newburyport Turnpike. “I used to describe it as ‘early ramshackle,’ ” Lennie Sogoloff, the proprietor and emcee, told the Globe in 1992. In the hands of Mr. Sogoloff, who died of pneumonia Saturday in Marblehead at 90, the tiny roadhouse became a mansion of music, attracting the likes of Count Basie, Miles Davis, Duke Ellington, Bill Evans, and Dizzy Gillespie. The unlikeliest of shrines for jazz or anything else, Lennie’s-on-the-Turnpike prospered through Mr. Sogoloff’s precise ear for established and up-and-coming talent. His one-liners behind the bar and emceeing on the stage were part of the draw, too, along with the joint’s roast beef sandwiches and chili. At the outset, Lennie’s-on-the-Turnpike had far more ambience than space. Before expanding to accommodate 200, “the place held only 56 customers — provided they sucked in their stomachs,” Globe music critic Ernie Santosuosso wrote in 1972 as Mr. Sogoloff prepared to close his business. Through the force of Mr. Sogoloff’s personality, and his business savvy, the club was a choice destination from its first years when the only music came from a jukebox he meticulously curated, to the end when he hosted newer jazz acts such as Gary Burton and Weather Report, blues artists Brownie McGhee and Sonny Terry, and pop music mainstays including Roberta Flack, Bette Midler, and the band America. “Lennie gave me my big break when I was on the bill with strippers at the Two O’Clock Club and the Teddy Bear Lounge in the Combat Zone,” Leno told the Globe in 1983. The youngest of six children, Leonard M. Sogoloff grew up in Peabody. After graduating from high school, he served in the Army during World War II. When the war ended, he was a salesman for Columbia Records and a waiter when he and a friend rented what Mr. Sogoloff called a “story-and-a-half location” on Route 1 in the early 1950s. “They were married within months after that, if not weeks,” Karen said. By then Mr. Sogoloff had bought out his partner, and he brought in live acts a few years later. Lennie’s-on-the-Turnpike soon built a national reputation as he progressed from hiring local jazz musicians to booking top acts. On the last weekend of May 1971, a few hours after pianist Earl “Fatha” Hines closed Saturday’s set, fire swept through the club. Within days Mr. Sogoloff reopened for a short stay at a Holiday Inn not far from the burned club. By the end of summer, he relocated to the Village Green Barn in Danvers, but a year later, a costly lease and mounting bills prompted him to close for good. Although he kept a hand in music by producing shows occasionally, Mr. Sogoloff spent the next 20 years managing Empire Clothing in Salem. Long as fervent a sports fan as he was a jazz aficionado, Mr. Sogoloff also became a memorable mentor and Little League coach in Marblehead, where he lived with his family. Even away from his club’s stage, Mr. Sogoloff “had a great sense of humor and his timing was impeccable with his lines,” said his son, Adam of Marblehead. Perhaps to make up for all those long nights away when he ran his club, Mr. Sogoloff became much closer to his children in later years. “I feel like he offered all of us his unconditional love,” said his other daughter, Leanne Desjardins of Newport Center, Vt. In addition to his three children, Mr. Sogoloff leaves a brother, Hyman of Peabody, and five grandchildren. A memorial service will be held at 1:30 p.m. Tuesday in Stanetsky-Hymanson Memorial Chapel in Salem. Burial will be private and family and friends will gather again at 3 p.m. in the Frederick E. Berry Library and Learning Commons at Salem State University to celebrate Mr. Sogoloff’s life and musical legacy. His wife, who died in 1993, went back to college while raising their children and became a special needs preschool teacher. She also was an activist in issues such as affordable housing. In 2006, Mr. Sogoloff donated music memorabilia from his club to the archives at Salem State, which awarded him an honorary degree in recognition of his cultural contributions. Three years later, he created a scholarship at the university in his wife’s name to support nontraditional female students, and Leno donated $100,000 from an appearance at the school for the fund. Even at 87, he was still dreaming of the careers he helped shape and the musicians he once booked, the sounds of jazz floating through his dreams.